Temp to hire, also known as a contract to hire or temp to perm, opportunities are roles in which you work through a team like Moore Staffing, are placed on a temporary assignment with a company. If both you and the company find and confirm that the position is a good match, then you may be hired on as a permanent employee. Will I definitely become a permanent employee? While there is no guarantee to becoming a permanent employee, the goal from all party perspectives is for it to be a long-term, permanent role. What about health insurance and other benefits? On contract, Moore offers a Health insurance plan through Tufts Medical after 30 days of employment, in addition to sick-time and a 401k match program. Once an employee goes permanent, they assume the benefits offered by their long-term employer. What are the benefits of choosing a contract-to-hire role? Get your resume on top – you have the option of applying for all opportunities on your own, however, with Moore, we are able to send your resume directly to the hiring Manager’s desk. Thus, your resume is separated from the many sent in via their company website. Try before you buy – on contract/temp you can try out a company and position to see if it’s a good long-term fit for your career goals and lifestyle. Keeping busy while on the search – if you’ve been on the job market for some time now, you know how it can be exhausting. 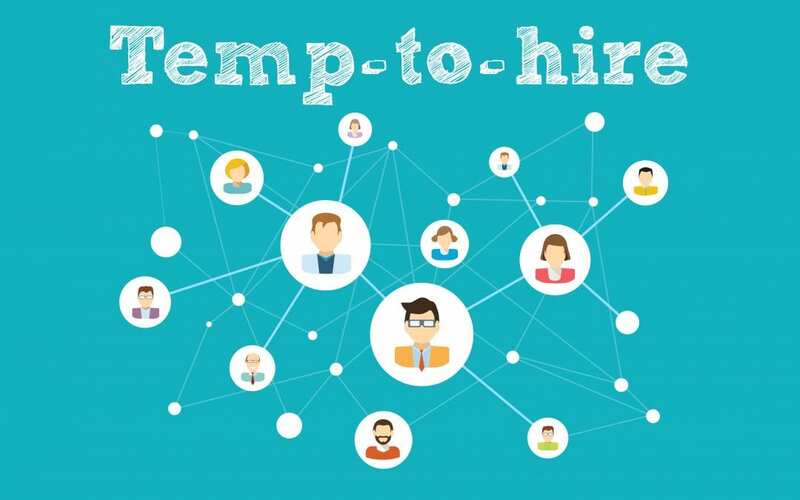 Fill the gaps in your resume and stay sharp by considering temp-to-hire or temporary roles. You get your foot in the door with employers, but also a Staffing Manager – Maybe this temporary role wasn’t a fit! That’s okay. If you did a great job and proved yourself to be reliable, your staffing manager will be excited to help you find a new and even better role! We can share our professional connections with you. Does Moore Staffing only offer temp-to-hire opportunities? No! We offer direct hire and temporary opportunities as well.